This is total comfort food. After all that happened this month so far, I needed comfort food and these are the ticket. 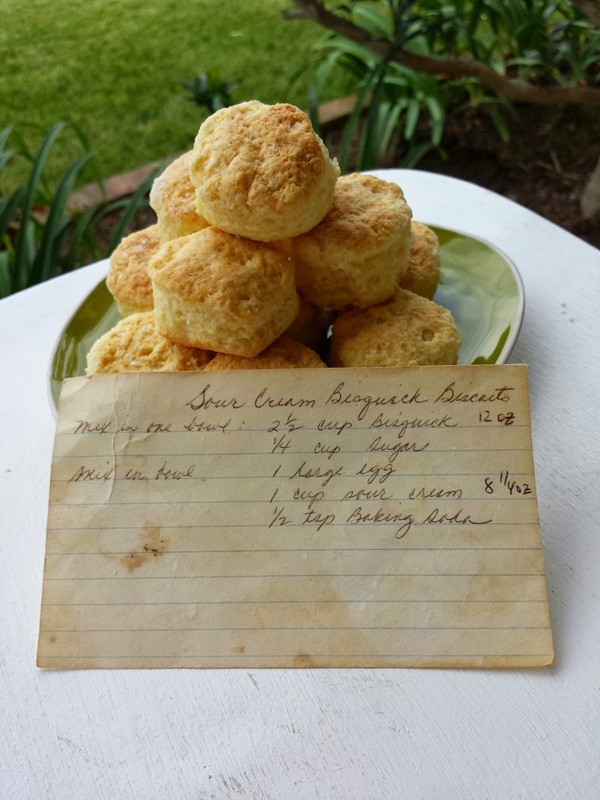 My mom used to make these biscuits when I was little. My cousin makes them small and I think they are better that way (and you can eat more). My cousin has an index card written by her mom. 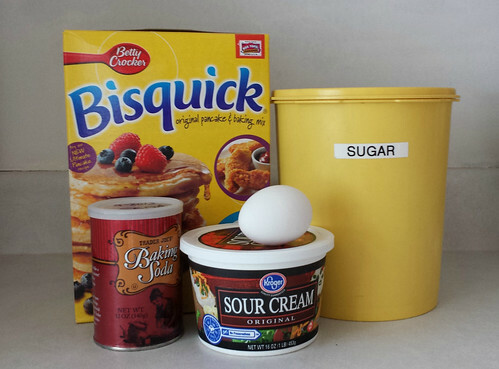 I'm sure you can make this all from scratch, but Bisquick has a special place in my memory and it's foolproof. 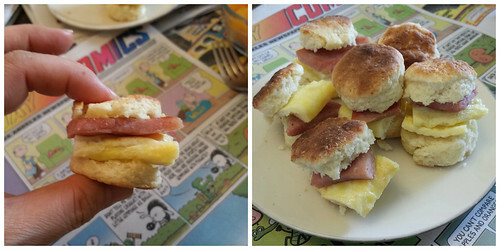 On Sunday, I went to my parent's house and made some little ham and egg biscuits. This is super easy to make. Just some Bisquick, sour cream, a bit of sugar, baking soda and an egg. By the way, I only had my cell phone camera to take these photos. Sorry about the quality. But the quality of the biscuits? Yummmmmmy. 2. Pour the wet mixture onto the Bisquick bowl. 3. Stir until just combined. Don't overmix. 4. Knead dough 5-7 times on a flour or Bisquick covered surface. 5. Pat or roll out and cut into desired shape. The biscuits look great. I have everything but the Bisquick. I will have to make a trip to the store. I hope your month of April will be a better one. Take care. Omg. 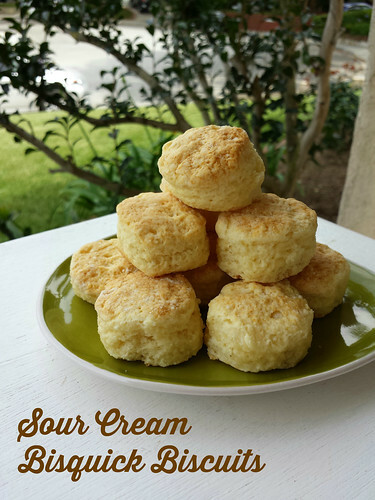 I'm going to try to make these because they sound so yummy! I can remember my Mom making these. Haven't had them in years. Gonna give them a try. 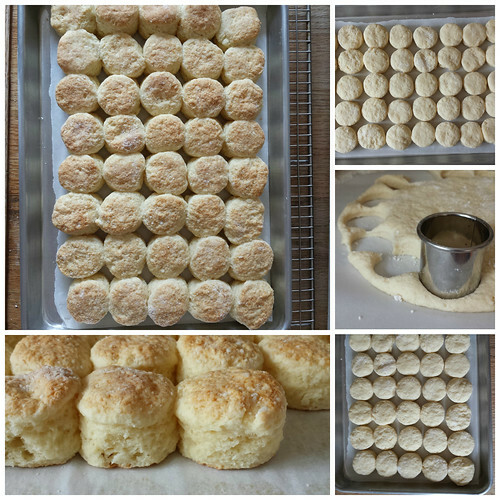 These are amazing biscuits and I've been making biscuits for a really L-O-N-G time. My grandchildren have requested them 3 times this week so another batch is in the oven now. Thanks so much!